Natural Health News — Getting more omega-3 as part of a healthy diet can improve the diversity of the gut microbiome according to a new study. The study, published in Scientific Reports, found that the women who had a higher dietary intake of omega-3 and higher serum levels had a more diverse gut microbiome. A more diverse microbiome is associated with a number of health benefits, including lower risk of diabetes, obesity and inflammatory gut diseases like colitis or Crohn’s. » A more diverse microbiome is associated with a number of health benefits, including lower risk of diabetes, obesity and inflammatory gut diseases like colitis or Crohn’s. » In this study, women with higher blood levels of omega-3 fatty acids were found to have a healthier and more diverse gut flora. The study is thought to be the largest to date to examine the relationship between omega-3 fatty acids and the composition of the gut microbiome. The researchers also found that high levels of omega-3 in blood are correlated with high levels of a compound called N-carbamylglutamate (NCG) in the gut. This compound has been shown in animals to reduce oxidative stress in the gut. “We believe that some of the good effects of omega-3 in the gut may be due to the fact that omega 3 induces bacteria to produce this substance.” she says. 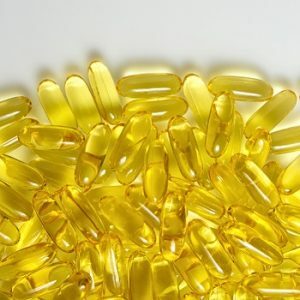 Previous wider research has found positive effects on health from omega-3 fatty acids on insulin resistance in diabetes, hypertension (high blood pressure), arthritis, thrombosis (blood clots), some cancers and cognitive decline. This new study has added weight to the growing global body of evidence to suggest that omega-3 also appears to improve the gut microbiome both in its diversity and composition. If being too clean makes us sick, why isn’t getting dirty the solution?